Locate just 1. 5 km from the famous Chhatrapati Shivaji Terminus Railway Station, Hotel Al Moazin operates a 24-hour front desk to assist guests at all hours. Free WiFi access is available in the public areas of the property. 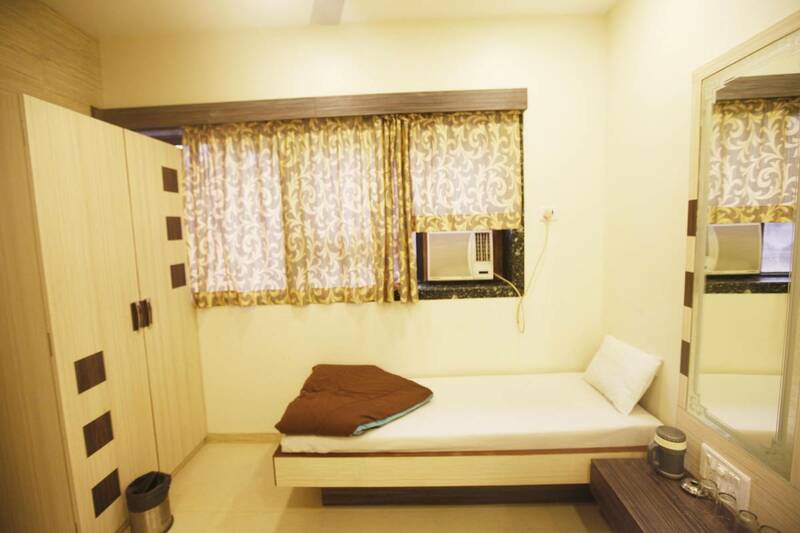 The hotel is 200 metres from Mohd Ali Road, 800 metres from Chor Bazaar and 900 metres from Crawford Market. The near bus station is 200 metres away while the Chhatrapati Shivaji International Mumbai Airport is 26 km away. Each room here will provide you with a TV, air conditioning and a seating area. Private bathroom also comes with free toiletries. Extras include satellite channels. At Hotel Al Moazin you will find a shared lounge, a ticket service and a tour desk. The property offers free parking. The in-house restaurant serves Indian and Halal cuisine. Room service can be requested for in-room dining comforts. Near Masjid Railway Station, Mumbai's iconic Minara Mosque is nearby. Sir J. J. Hospital also 10 mins walking. Public Transport, by cab, by local train and many more options.